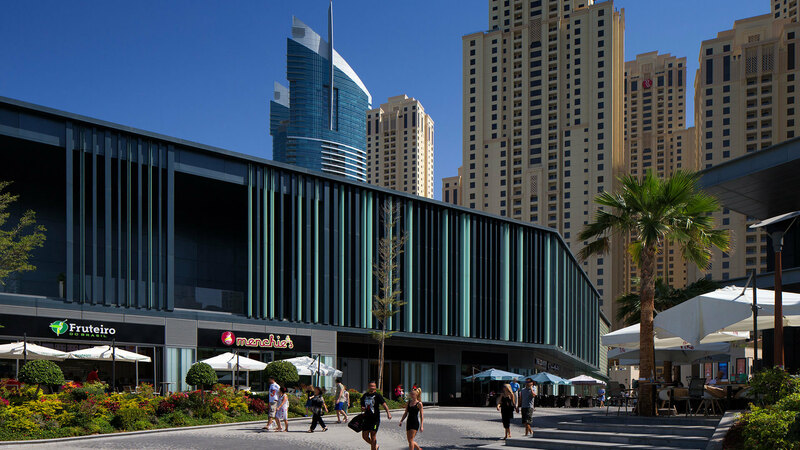 A lifestyle destination where the city meets the sea. 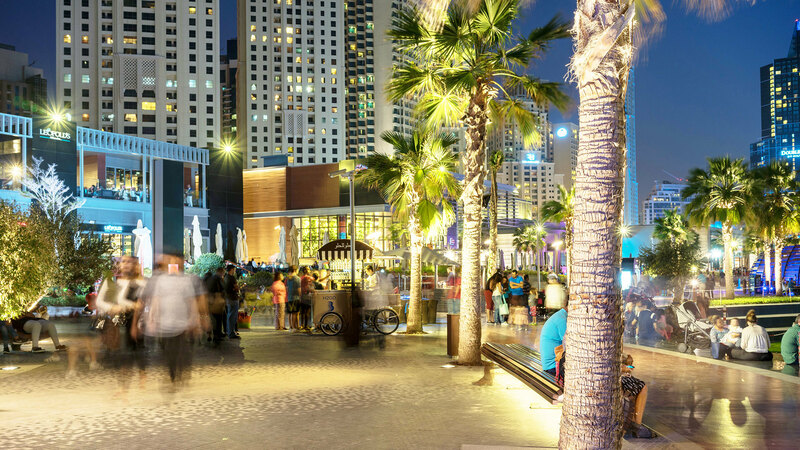 Bringing a mix of cultures together where the land meets the sea, the Beach at JBR is a model of sophisticated accessibility. 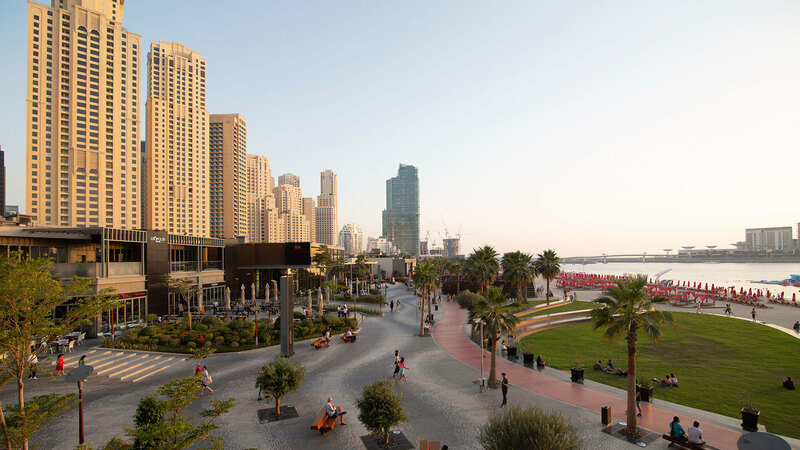 The first to offer public facilities on this busy stretch of public beach, the development seamlessly brings connection between the beach and urban life. 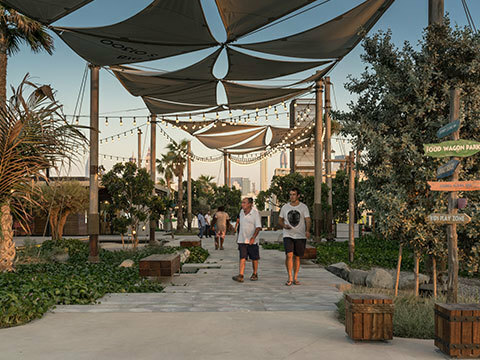 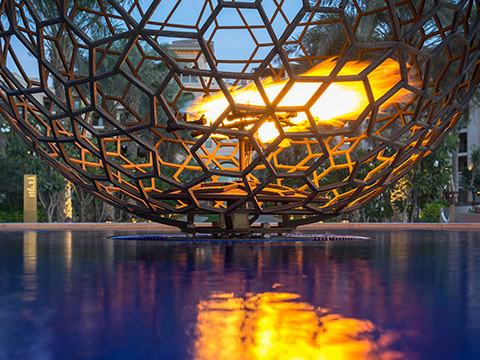 A promenade winds past dining terraces and focal points including a grassy beachside amphitheatre and entertainment options, offering dedicated pathways for strolling and exercise. 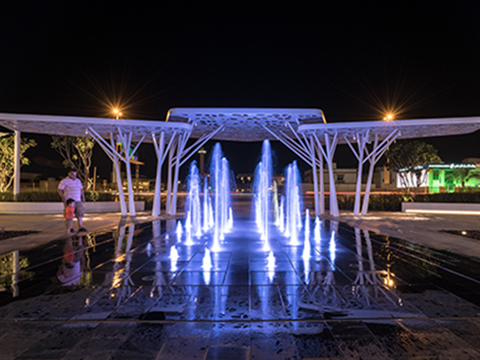 Working alongside architects Benoy, Cracknell established a soft contemporary landscape design language with a focus on accessibility. 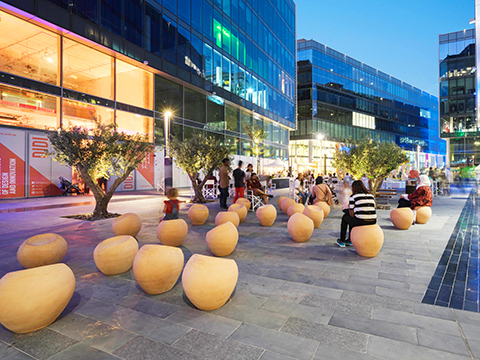 Millions of unique paving tiles are individually laid to create pixelated waves leading from the urban environment to the sand.